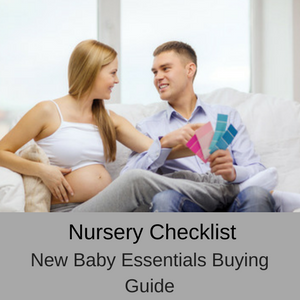 This nursery checklist is ideal for new parents expecting their first baby or for experienced parents who need to update a nursery for a new addition to their family. 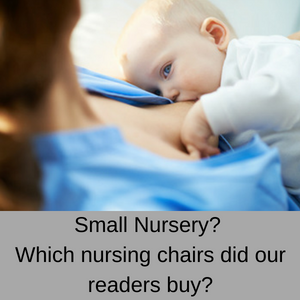 With so many baby products on the market these days it can be difficult to know what you really need for your nursery and where you should spend your money. 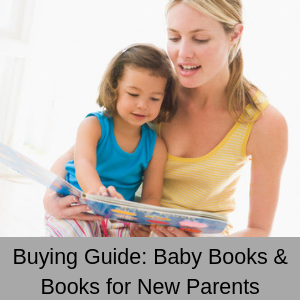 If you are on a budget, this guide will come in really handy, because we list all the essential items you need in your new nursery, as well as a few luxuries that you might want to splurge your budget on. 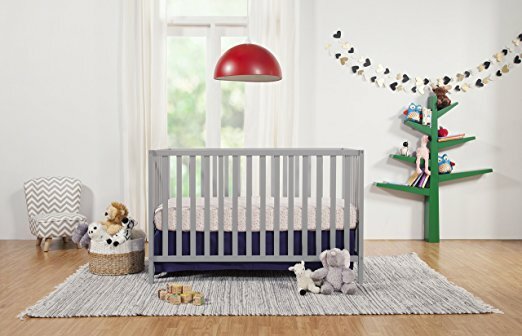 The first item in our nursery checklist is this 3-in-1 convertible crib, which is very well priced and comes in seven different colours, so you can match the colour of your crib to your design of the nursery: grey, emerald, espresso, sunshine, lagoon, white and natural. It meets ASTM international and US CPSC safety standards, and is non-toxic with a lead and phthalate safe finish. This cot is very sturdy, because it’s made from New Zealand pine wood and with it’s smooth and clean lines it will make an elegant addition to your nursery. One of the best features of this cot is that it converts a daybed and a toddler bed, so you won’t need to purchase another bed until your little one has well and truly grown big! You do have to buy both the conversion kit and the mattress separately, but the conversion kit will help you to save money in the long run, and most mums want to buy a premium mattress for their baby’s cot. Every nursery needs a beautiful and comfortable nursery glider for feeding and cuddling your new baby and this glider by Windsor is well-priced, comes in 13 different colours and is one of the narrowest gliders on the market. 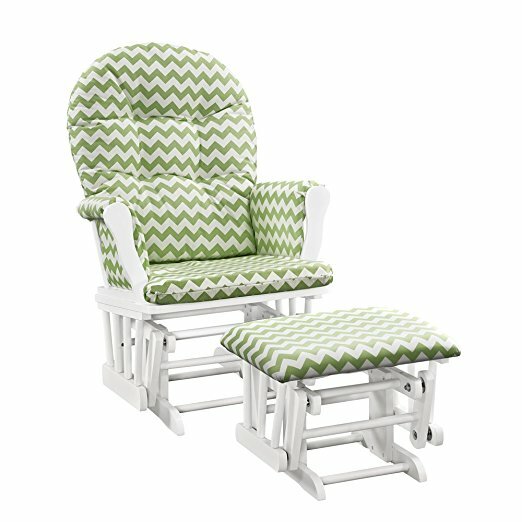 This nursery glider is very easy to assemble and even though it’s narrow (so it fits easily into your nursery), it still has a generous seating area with padded arm rests and side pockets. The upholstery is 100% polyester and the cushions can be removed for easy spot cleaning. 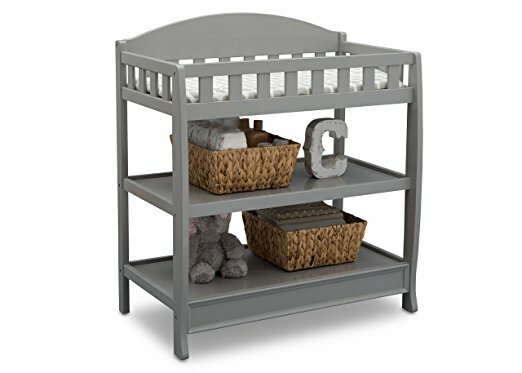 It has a solid timber frame and enclosed metal bearing for a really smooth and quiet glide; a perfect addition to your nursery checklist. 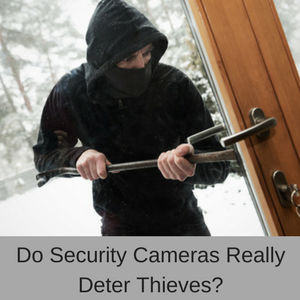 When you leave your baby in the nursery during the day or at night, a baby monitor stops you worrying! 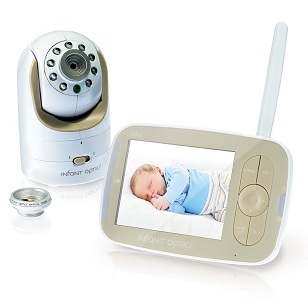 The Infant Optics DXR-8 Video Baby Monitor is one of the most popular on the market and has lots of great features. 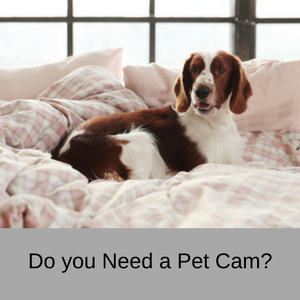 For example, it has remote pan & tilt & digital zoom, a large 3.5″ full colour LCD display, retractable antenna, night time vision, two-way communication, ambient temperature alert, sound activation and you can purchase a wide angle lens as well. With a long 10 hour battery life on power saving mode (6 hours with the screen operating) and a long 700 ft range, and the ability to add four more cameras to your network, the DX-8 is a very worthwhile investment. 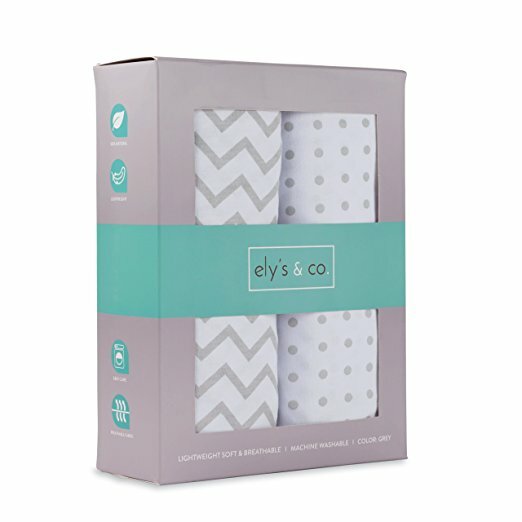 This soft 100% high quality Jesrey Knit Cotton Crib Sheet Set from Ely’s & Co are another popular item that sells well at the moment. 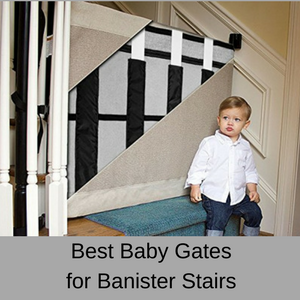 They are available in grey (shown above), blue and black and you can also purchase a bassinet cover, changing pad cover and a playard to match. I have also found a pink set sold by Ziggy Baby. Depending on your colour scheme, you can use any of these sheet sets for your baby’s crib, regardless of gender. They fit most standard crib mattresses and toddler bed mattresses (52″ x 28″ x 9″) and the bottom sheet is secured with a doubly reinforced elastic strip for additional security and durability. They are machine washable. The Delta Children Infant Changing Table is available in grey, dark chocolate, black, white or espresso cherry and is a safe and secure spot to change your baby with everything to hand (it meets all government and ASTM safety standards). You do have to assemble this yourself, but it’s fairly easy and it’s full size is 35″ in width x 19.75″ in depth x 39.25″ in height, so it should fit nicely into your nursery. The wide open shelving (10″ clearance) makes it easy to stack your nappies and baby clothes, sheets and blankets, as well as adding a few baskets for toiletries, baby wipes etc. A changing pad is included and you even have a safety rail on all four sides – very important to prevent your little one falling off! A changing table is a really worthwhile investment and deserves its place in our nursery checklist. 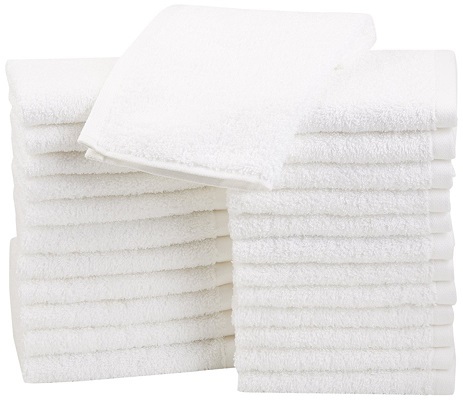 These extra-absorbent 100% looped-terry Cotton Washcloths are available in white, grey, ice blue, lavender, petal pink, seafoam green and a mix of colours. 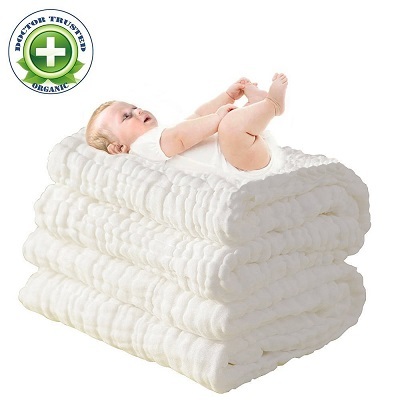 You can purchase a pack of 24 or 60 (12″ x 12″) and they are soft enough to use on your baby, as well as for your own needs. They have reinforced edging for increased durability and are both machine washable and safe in the dryer. Your new baby deserves to have super soft towels for their delicate skin and these Super Soft Muslin Cotton Baby Bath Towels tick all the boxes. These towels are made from medical grade natural antibacterial cotton and are super absorbent and super soft on your baby’s skin. They are also breathable, hypo-allergic, contain no chemicals and won’t irritate your baby’s delicate skin. Easy to machine wash and pop in the dryer and large enough to wrap your baby comfortably ( 43″ x 45″). 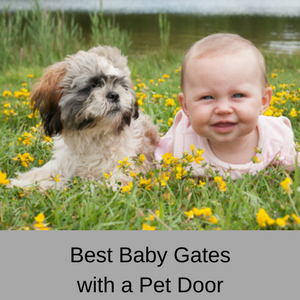 You can use them as a towel after their bath or even as a swaddle or blanket. You can purchase one, two or three in a pack and they are very affordable! 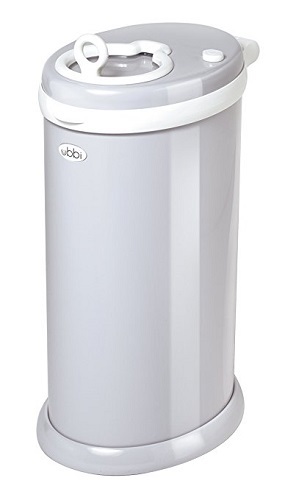 This bagless Steel Odor Locking Diaper Pail doesn’t require refills or inserts, saving a substantial amount of money over the next few years. It’s actually an award-winning diaper pail winning nine different awards! One of its best features is that it keeps all of the smells inside the steel container, even though you do get a whiff when you open it to deposit another used nappy (cloth and disposables). This diaper pail has a sliding slow close lid and is the perfect size to fit into your nursery (it can hold up to 50 diapers). It has a childproof lock, so little fingers can’t dig into your diaper pail and it even comes in a huge range of colours: grey, hot pink, ivory, light blue, light pink, mint green, orange, pink hearts, navy blue, purple, red, black & white clouds, black & white triangles, grey chevrons, robin’s egg blue and pistachio green. As anyone who has used a wet wipe can attest – they are cold! 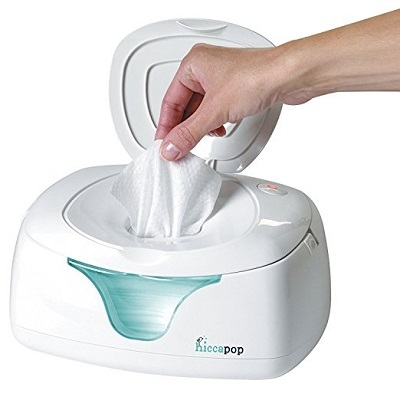 This is the reason why the hiccapop Wipe Warmer and Baby Wet Wipes Dispenser is so popular, because your baby won’t have to be startled by a cold, wet wiper during changing time. Your wet wipes are guaranteed to stay nice and moist (it has a silicone seal), even though they will be nicely warmed – a boon for fussy babies, especially at night. It comes with an in-built changing light, so you don’t need to put on bright lights at night and you can see how many wipes are left by looking through the front viewing window. This universal warmer fits all brands of continuous feed baby wipes and is a ‘must-have’ on your nursery checklist. 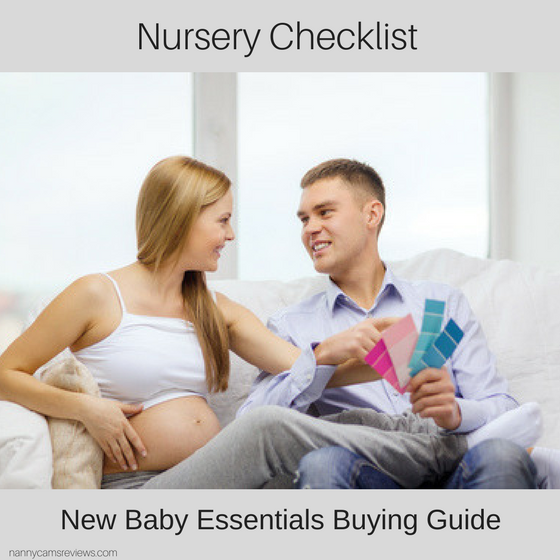 This is not a necessary item on your nursery checklist, it’s more of a luxury item for most parents. 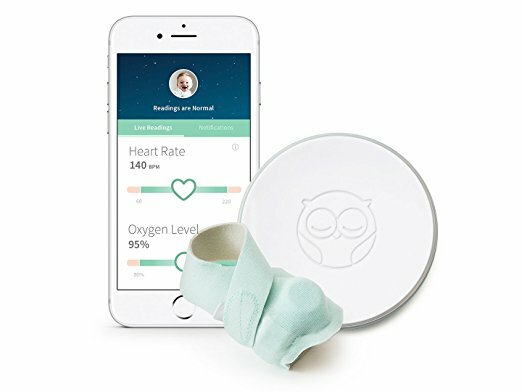 The Owlet Smart Sock 2 Baby Monitor allows you to monitor your baby’s heart rate and oxygen levels, even when you are not in the room with them. 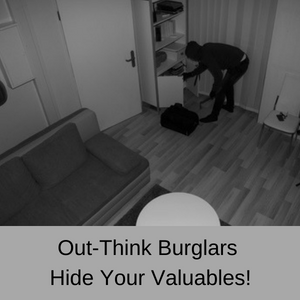 So if you think that this might be something that would make you worry less – then put it on your shopping list. All you need to do is to download the free iOS or Android app onto your smart phone. The Smart Sock is connected to a base station that receives your baby’s real-time heart rate and oxygen levels via Bluetooth and glows green if everything is OK and red if there is a problem. You can monitor these levels via your smartphone, so you can be downstairs while your baby is upstairs in the nursery. The Smart Sock can also be up to 100ft away from the base station and it will still operate via Bluetooth. The oxygen and heart rates are factory preset, so you can’t change them, but they were set by a team of specialists, so you shouldn’t have any problems. You receive three Smart Socks with every purchase and it can be popped into the washing machine, but you need to remove the sensor first. Finally, the Smart Sock fits most babies up to 18 months of age or 25 pounds.